The BLK Performance Centre is part of the Queensland Government’s Runaway Bay Sport & Leadership Excellence Centre. Runaway Bay is located in the south east corner of the state, about 80km south of Brisbane, and 40km north or the border with New South Wales. Read more at www.qld.gov.au. The BLK Performance Centre is located in the north of the local government district of the City of Gold Coast. The Gold Coast is famous for being one of world’s most beautiful coastal tourism destinations. Read more at www.goldcoast.qld.gov.au. 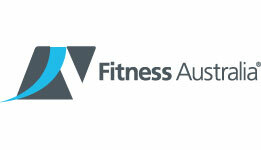 The BLK Performance Centre is a member of Fitness Australia. Fitness Australia is the national health and fitness industry association and is committed to achieving a fitter, healthier Australia – just like us! Read more at www.fitness.org.au. Runaway Bay Shopping Village is just 100m walk from the Sports Super Centre for all your local food and shopping needs. The centre boasts more than 120 specialty shops as well as Woolworths, Coles, ALDI, Big W, Target and Best & Less. Find out more at www.runawaybayshopping.com.au. The BLK Performance Centre is proud to be affiliated with Elite Supplements Harbour Town. Stocking the biggest and baddest range, including the most popular international and Australian brands – Elite Supps cater to every lifestyle, goal and health need no matter of your fitness level or profession. Find out more at www.elitesupps.com.au. The PNG Sports Federation & Olympic Committee is a non-government organisation whose main role is to develop PNG athletes and prepare them for participation in major international competitions. We are proud to regularly host athletes and officials from PNG. Find out more at their Facebook page. Triathlon Queensland (TQ) looks after the key areas of triathlon in the state regarding junior development, age group development, technical officials, clubs, events & coaching. TQ’s main use of the facility is linked with their High Performance Program delivery. Find out more at www.triathlonqld.com.au and check out a short video of the Super Sprint Weekend held here at the Sports Super Centre! Thanyapura Phuket is our South East Asian counterpart – a 23-hectare sports, health and educational complex on the island of Phuket in Thailand, featuring the best sports facilities and coaching expertise in Asia, two resort hotels and an award-winning organic restaurant, a unique mind training centre, a specialised medical centre, and an international school. Find out more at www.thanyapura.com. Rugby Union for all shapes, sizes, ages and abilities! Gold Coast District Rugby Union is committed to excellence in all segments of the sport of Rugby Union, providing opportunities for individuals of all ages, cultures and genders to achieve their ultimate performance. Find out more at GCDRU.